I think it is important to begin this review by admitting that I have more jpeg images on my hard drive of Chan Marshall than I do of my wife. Now before you label me as a creepy fanboy, understand that I’ve only been married a year now, had my laptop for nearly four years, and been a fan of Cat Power for even longer. I would also like to point out that pictures of my kids trump the jpeg totals of my wife and Chan by a long shot. After this, you’re probably assuming that I’m going to loft a heapin’ helpin’ of praise on Marshall’s second collection of covers, Jukebox, and my friends, you’d be absolutely correct. However, I do believe that I’m able to discern my infatuation with the aural reality that Jukebox is a brave collection of remakes that continues to reaffirm how Marshall has become one of the consummate voices of her generation. The journey to that point is a great tale, but it’s hard not to miss those early albums of frailty and those days where on-stage breakdowns were part of the allure. That fragility was also documented well on her studio albums, but starting with the brilliant The Greatest, Chan transitioned herself into a full-fledged performer, as strong a vocalist as Dusty Springfield with that last album being just as good as Dusty In Memphis. Even though Jukebox isn’t on the same level as The Greatest—It isn’t meant to be—It does point to the fact that it is time that we start providing Chan Marshall with the respect that she is due as a performer. While The Covers Record displayed her as a unique interpreter of other’s material, Jukebox takes steps in making other’s material her own. It stumbles out of the gate, with a run-through rendition of “New York,” that’s essentially two minutes of trying to sound novel while being little more than an idea that’s better left on the drawing board. 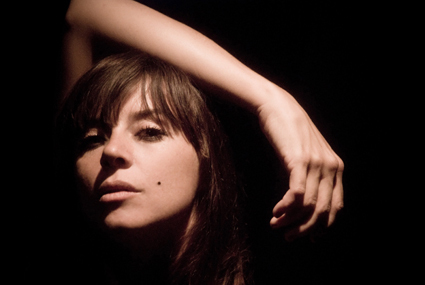 I’m also a bit underwhelmed with the update of “Metal Heart,” perhaps my favorite Cat Power song of all time, which means that it may have been destined to fail before the ‘record’ button was even hit. The Moon Pix version was a testament of beautiful imperfection. The Jukebox version brings a newfound strength to the arrangement, which ironically weakens it in the process. As admirable as the original idea may have been, this is another selection that was better left untouched. Then there are those that work: Hank Williams‘ “Ramblin’ (Wo)man,” James Brown‘s “Lost Someone” and Jessie Mae Hemphill‘s “Lord, Help The Poor And Needy” are all challenging choices and they’re perfectly executed with heavy reverb and minimalist arrangements. Marshall takes on one of Bob Dylan‘s lesser known tracks, “I Believe In You” (from Slow Train Coming), originally a declaration of his new found Christianity, but turned into a Stonesy-stomp that will have you contemplating what else you may have missed when Bobby was walking in the presence of the Lord. But the jem is “Silver Stallion,” a Lee Clayton track later covered by The Highwaymen. Under a gently strummed acoustic and haunted by a background slide guitar, Marshall’s smoky baritone ends up delivering the track in a definitive light. Marshall is primarily backed by the Dirty Delta Blues Band, who are admittedly less tactful than the Memphis Rhythm Band on The Greatest. But what they lack in refinement, they excel in consent: The Memphis Rhythm Band provided Chan with the esteem boost that she needed in order to become as strong as she appears now. The Dirty Delta Blues Band allows her enough space to go explore her newfound authority. And, aside from a few small stumbles, Jukebox demonstrates that she is well suited for this role and hearing her take control of her talent is an enriching experience. So ignore my penchant for visual aids that capture Chan’s splendor. Her real beauty is what she can do with a song. Nice review, I’m glad you waited a bit for the album to grow on you before you wrote it up. I mostly agree with you, I’m a big fan myself and this has a a few great moments (notably Song to Bobby and She’s Got You), but kinda falls flat for me and was roughly pushed out of rotation by She & Him. Paradoxically, it simultaneously confirmed and even increased her greatness to my ears. Strangely, I had high expectations about She & Him and was disappointed when I heard it. For Jukebox, I went in with fairly low expectations and walked away impressed. Put it on repeat, like, twenty times, it will win you over. Or don’t.